CR - I first heard about pole dancing for fitness in 2002 in a newspaper article, but it took me a decade to take the plunge and actually start learning! Spending many hours at a desk for work and being completely disillusioned with going to the gym, I definitely needed a fitness shake up. 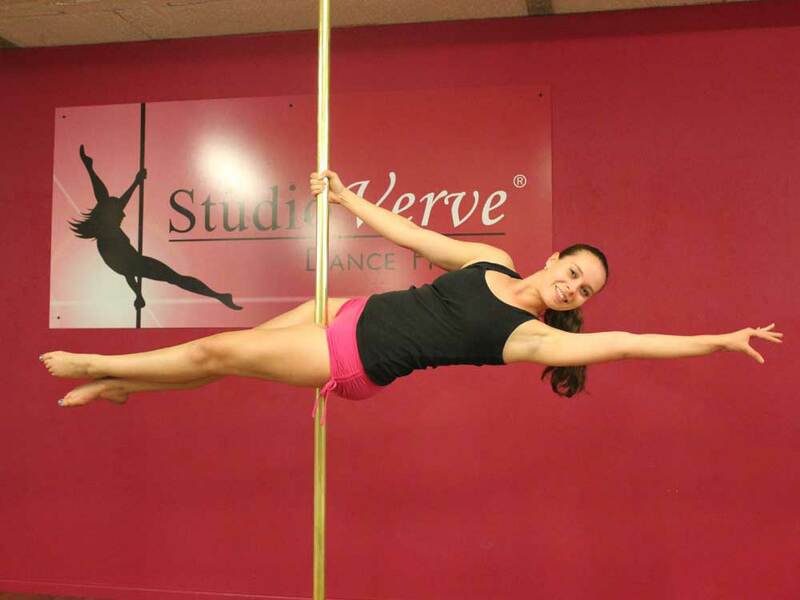 I Googled "pole dance classes Sydney" on a whim one Saturday afternoon and saw that Studio Verve was holding a Taster class the very next day - it was fate! Despite struggling with my sweaty hands, I was completely hooked at first spin and signed up for Level 1 immediately afterwards. 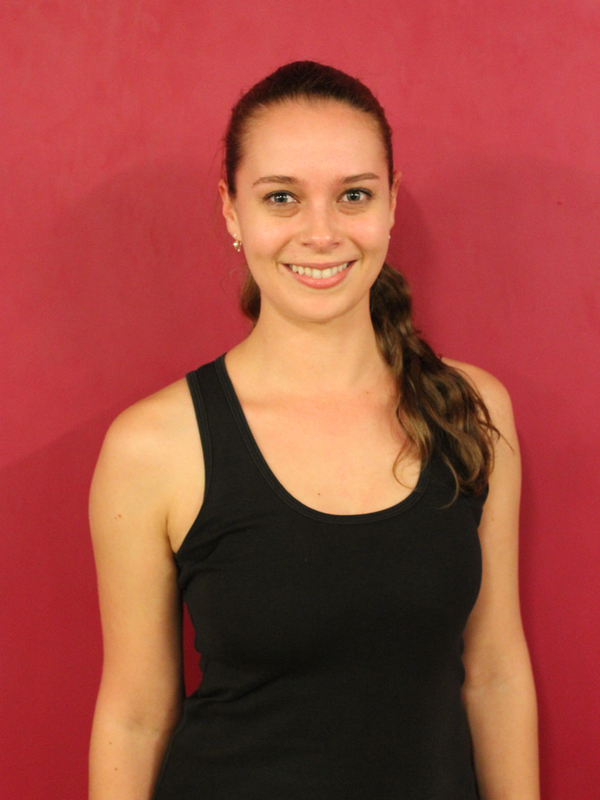 SV - What motivates you to keep coming to classes at Studio Verve? CR - Every class has a new challenge - just as you've mastered one skill, there's another one to tackle! I always love the feeling of achievement of nailing a move that I dreamt about months earlier. Plus, the classes are so much fun; I look forward to going to them each week. CR - Pole has become more than a weekly workout for me and has become a much loved part of my life which influences what I do on a daily basis. I eat a lot healthier than I used to, stretch in front of the telly, go for more walks, frequent pole comps and performances, have tried a couple of other aerial sports, watch "polebrities" on YouTube, bore my non-pole friends silly with talking about pole...the list goes on! CR - I feel so empowered and proud to be able to do what I thought was impossible for me. I feel a lot more confident, happy and strong! CR - They've noticed that I'm a lot stronger than I used to be, particularly when lifting things around the house (a good side effect!). I've had comments about my improved tone, determination, and the bruises that I wear as a badge of pride! SV - What is your next goal for pole? SV - How long can you see yourself pole dancing for? CR - As long as I'm physically able to and still love it. I can't see my future without it. SV - What is your favourite thing about Studio Verve? CR - The people! Every person I've met at Studio Verve has been lovely, approachable and willing to help each other out. There's a really fun, happy culture that keeps me coming back. SV - What are your favourite things about pole dancing? CR - The feeling of flight when I'm dancing. I describe pole to those who haven't done it before as being like ballet in the air. Being completely in the moment, expressing yourself through dance and working to make it so effortless and beautiful - it's an addictive feeling! 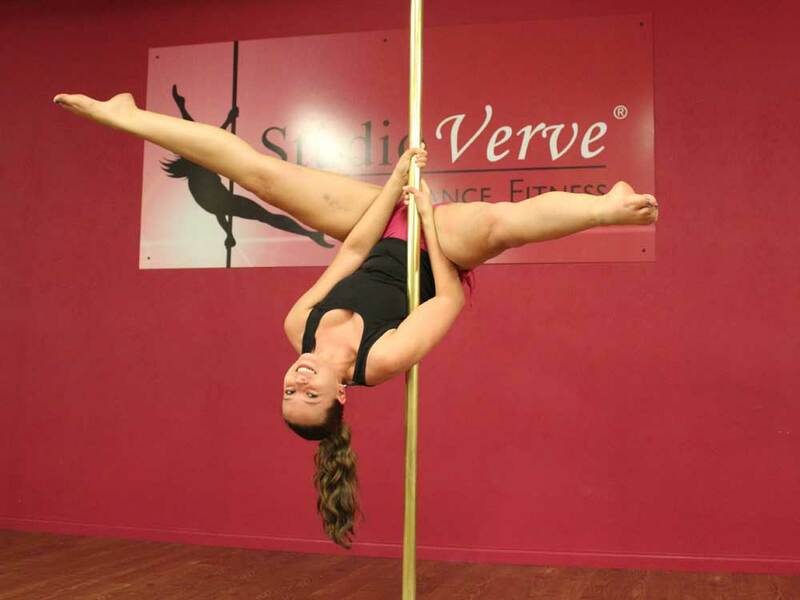 SV - What is the most challenging thing about pole dancing? CR - For me, being persistent and patient with developing my flexibility. I've come a long way from not being able to touch my toes with straight legs, but have a bit of a journey to go before I can make those advanced moves look very pretty! SV - If there was one thing you could change about Studio Verve, what would it be? I'd change my local public transport so it's easier for me to get there. SV - Who do you think would benefit from pole dancing? CR - Anyone who is willing to try it and stick with it!